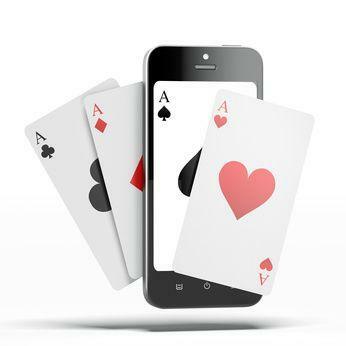 The Mobile Poker Era Is Upon US – Which Are The Best Games To Play? 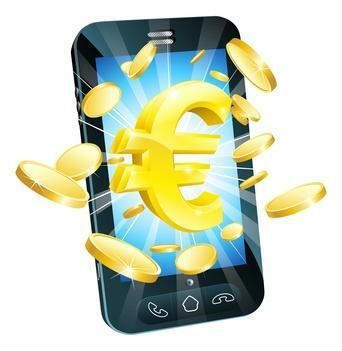 Mobile poker apps are becoming more and more popular. As long as you have your smartphone or tablet handy you can now play poker whenever you want – on a work break, waiting for the bus, or just chilled out in front of the TV. So with the growing interest I decided to look through how each type of poker format available on a mobile device. Going through MTTs, SNGs, Cash games and Fast-Folding poker, I let you know which one works best. The biggest problem I found with MTTs was the length of time they take to play out. This is particularly true for low stakes games or big field events, such as ones on PokerStars, which can easily last over 5 hours. What starts off as a fun game on your phone can quickly turn into a long drag on a tiny screen. Then you have the practical issue of power to contend with. If you are playing for a long period of time your mobile battery will simply not last - at some point you will end up tethered to your charger. This completely takes away from the whole idea of a mobile app. Overall I would give MTTs a miss on mobile platforms and look elsewhere. SNGs tend to suffer from a the same major issues as MTTs - you are forced to play for a period of time until you are eliminated or win the game. While SNGs are quicker, especially if you stick to single table games, they may still easily take close to an hour if you pick a slower speed game. Many SNG players prefer to multi-table in order to cut down variance and push their small edge over large volume. Unfortunately you are limited to relatively small number of tables on each app, so this cannot be done as effectively. If you are a tournament player SNGs are a far better choice than MTTs. You will find you overcome a lot of obstacles and frustrations you may find playing on a mobile app by play hyper-turbos, or at least turbo games, rather than regular speed versions. The ease of being able to hop in and out of a cash game suits a mobile session far more than a playing a tournament. With cash you can play for as long as you want and quit whenever without losing out. One problem with regular cash games is the speed of which they play out. Cash games tend to be about waiting for the hands or spots where you can exploit your opponents and get paid. For a mobile session you may not have enough time to get in enough hands to see these sort of situations. There are also limits on how much table selecting you can do on a mobile app, because of the lack of information displayed in the mobile lobbies. Some apps will not even let you select your seat. This can put you at a severe disadvantage to those playing on desktop clients with all the extra information and options. Full Tilt originated fast fold poker with ‘Rush Poker’ and it has now spread across other online rooms whether you are ‘Zoom’ing, ‘Blaze’ing, ‘Speed’ing or ‘Snap’ing, these games are an absolute match for mobile play. Like regular cash games you can jump in and out as you wish without losing out. Game selection is also of no concern, as every time you fold you will be seated at a new table with new opponents picked from your game’s player pool. The main advantage of playing fast-fold poker however, is the sheer speed of the game and number of hands you can get in. As you get a new hand as soon as you fold you are able to see far more hands and experience far more playable and profitable situations. This is ideal if you only have time for a quick session. Speed is the key to playing mobile poker. The devices and apps are not ideal for long grinds, and simply much better suited for quick sessions. If you are a tournament player your best bet is to stick to hyper turbo games and smaller field SNGs. Meanwhile fast folding cash games are definitely the game mobile devices were meant for. You can jump in and out at will, table selection is no issue and you get to play a ton of hands!